Astana, the wedding-cake capital of Kazakhstan, is notably bereft of graffiti and street art, at least in my somewhat limited exposure to the city. 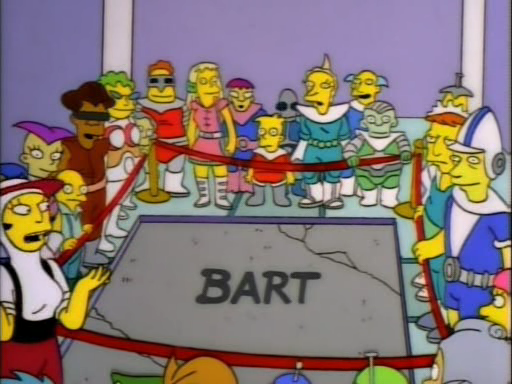 The larval metropolis is all about commercial appearance, so I’d guess that aspiring street artists likely face much more than the Marge Simpson treatment for turning around to brag about their work. Dire consequences await those who graffito tag public property. but it was in München, a mere 2,620 miles from Astana. Two disconcerting thoughts immediately come to mind reading this. First, why the hell is “DAKA” written in Latin instead of Cyrillic script characteristic of the FSU? Second, what does “DAKA” mean out here? Nothing in Russian so far as I know, but Google Translate claims it could mean “Dakar” in Kazakh, which if true raises even more questions. 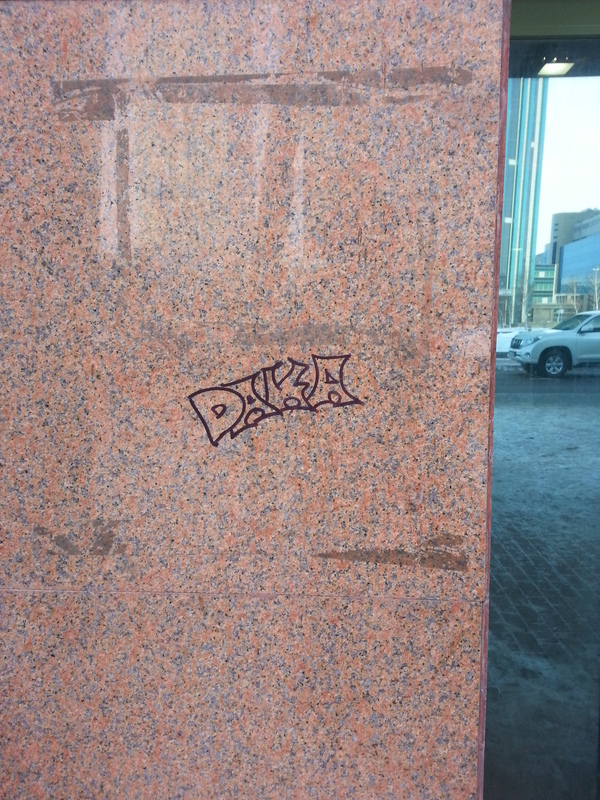 No, the safest assumption is that this tagger, my streetwise and marker-wielding dopplegänger, was referring to the ~1 million year old Homo erectus partial skull from Ethiopia, dubbed “Daka” after the Dakanihylo site of its discovery. GOODGRIEF, this was almost 5 years ago. 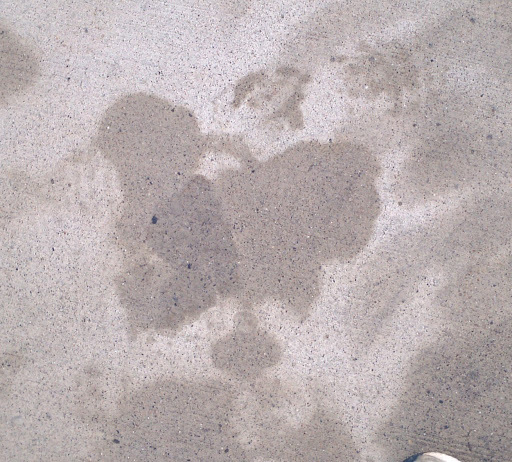 The vernal awakening has brought rain to Ann Arbor, and right on here on main campus I spotted the rain-splotched silhouette of an articulated human pelvis (left). Check out those short and flaring iliac blades, and the shortness of the ischium. These features are associated with repositioning key muscles for walking and running on two feet, and are very unlike what is seen in the four-legged, suspensory climbing apes. But just how ‘human’ are these features? The crushed pelvis of Oreopithecus bambolii, a ~8 million year old fossil ape from Italy, has somewhat human-like short ilia (left). 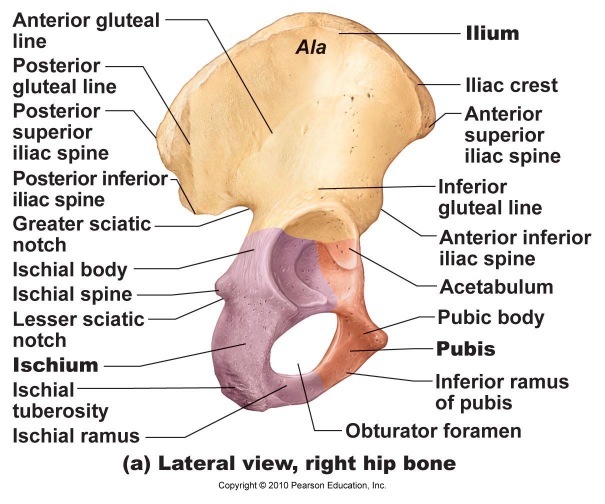 This pelvis also has weak anterior inferior iliac spines (Rook et al. 1999), which anchor the hip/trunk flexor muscle rectus femoris, and are allegedly a developmental novelty seen only in hominids (Lovejoy et al. 2009). These traits have led some to claim that Oreopithecus was a hominid, or at least bipedal. 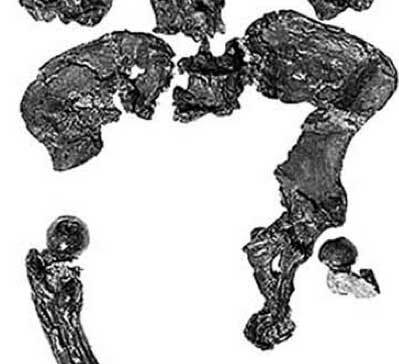 Without getting into that debate, I’ll just say that seeing these ‘bipedal’ features in this late Miocene ape’s pelvis weakens the case that their presence in Ardipithecus ramidus indicates a unique connection between Ardi and later, true hominids like australopiths. UPDATE: Check the comments for notes on the Ardi and Oreo fossils from someone who’s actually studied them (I myself have only seen pictures and read about them). I just made what what may be the most amazing discovery of the century at a local booze emporium. 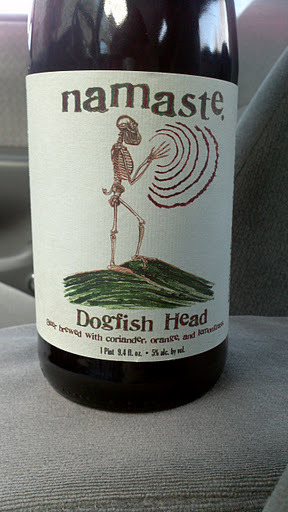 Dogfish Head brewing company makes a beer whose label is adorned with Jay Matternes’s reconstruction of an upright Ardipithecus ramidus. 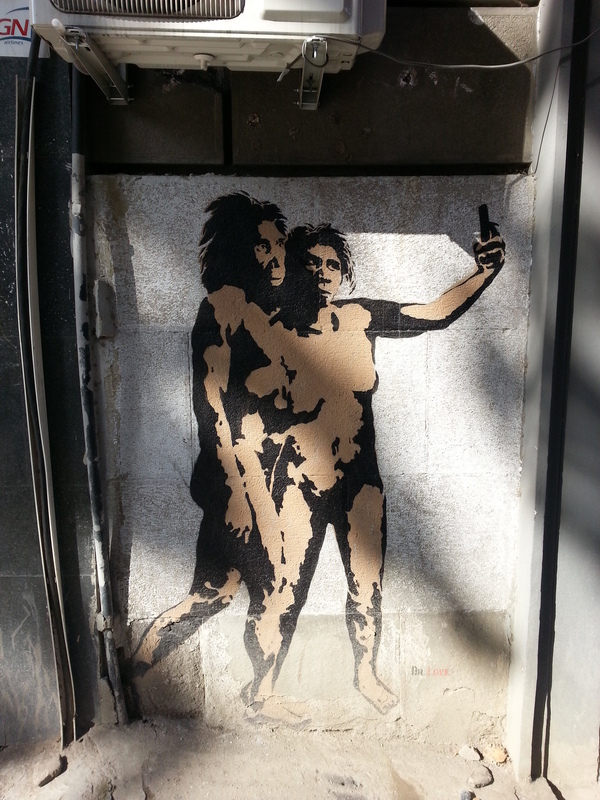 Note that the left foot grasps the earth with it’s ape-like big toe. In a whimsical use of artistic license, whoever adopted this image added a curlicue pig’s tail. In animals with a tail, a number of caudal vertebrae continue off the set of fused vertebrae called the sacrum. 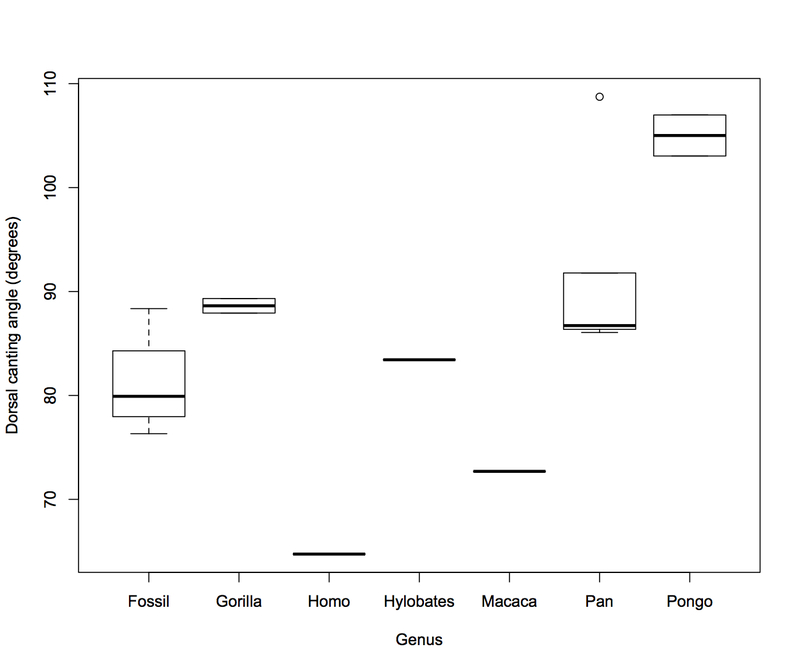 Humans and other apes don’t have true tails but a coccyx, a small clump of tiny, fused vertebral segments. Our tail vestige may not help us hang onto trees like in Ateline monkeys, or sting our enemies like a scorpion, but the coccyx is still pretty important. In people this evolutionary memory of a tail anchors some muscles of the pelvic floor (including sphincter ani externus and levator ani), which are critical for the to control of our bowels. Below is a close up of the Ardipithecus ramidus pelvis fossils (from White et al. 2009, fig. 3). 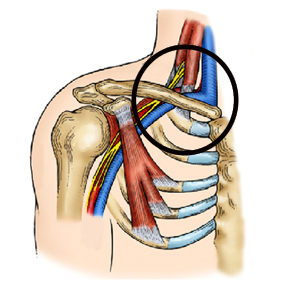 No coccyx was discovered for Ardi, and little is said about the sacrum, other than that it’s merely broken piece of the end of the bone (Lovejoy et al. 2009). Nevertheless, I’m sure this end of sacrum would lead one to reject this artist’s hypothesis that Ardipithecus had a tail. 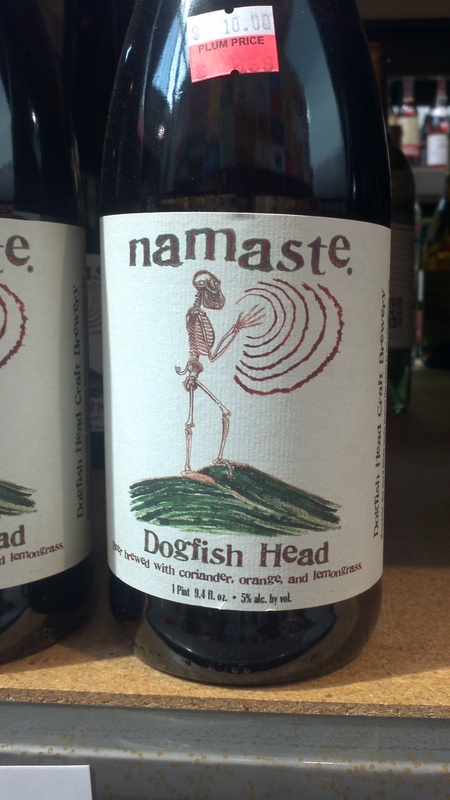 Had I been in charge of labeling at Dogfish Head, the beer would’ve been called “Party-pithecus” instead of “namaste,” and this label would’ve been slapped on some exotic IPA or porter instead of a wheat beer. Still pretty awesome, though. What’s the secret to becoming a good father? What would William Cosby do? I for one have no idea BUT! a study published today in PNAS early edition finds an association between studly vs. paternal behavior, and levels of everyone’s favorite hormone, testosterone (T). 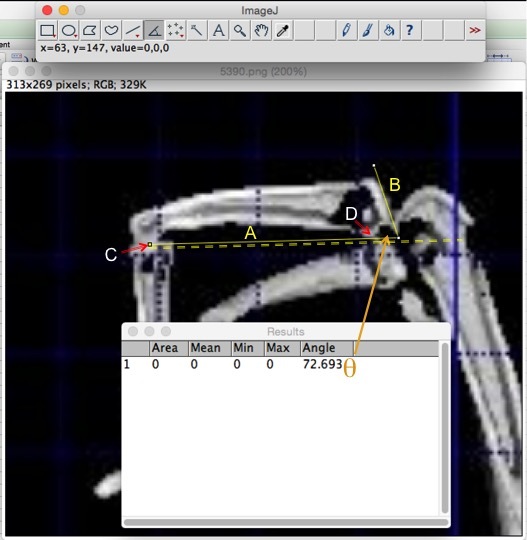 Using longitudinal data, researchers (Gettler et al. in press) found that, in general, a young guy with higher levels of circulating T is more likely than a guy with low T to become a father w/in a few years. MOREOVER! this erstwhile-high-T-and-now-father then experiences a relatively sharper decrease in T than would be expected simply because of aging. PLUS! fathers who interacted with their kids on a daily basis had lower T than fathers who didn’t hang around their kids too often. One thing neat about this study is that it uses longitudinal instead of cross-sectional data. A cross-sectional version of this study would’ve sampled a bunch of dudes (hopefully somewhat randomly) only once. This can be problematic because it’s then hard to interpret the results in light of the many sources of variation between people. This study, on the other hand, sampled a tonne (n = 694) of guys at more than one occasion, so they can tell how individuals’ testosterone levels tend to change in paternal vs. free-spirited circumstances. The last line of the paper is pretty intriguing: “[these results] add to the evidence that human males have an evolved neuroendocrine architecture shaped to facilitate their role as fathers and caregivers as a key component of reproductive success.” (Gettler et al. 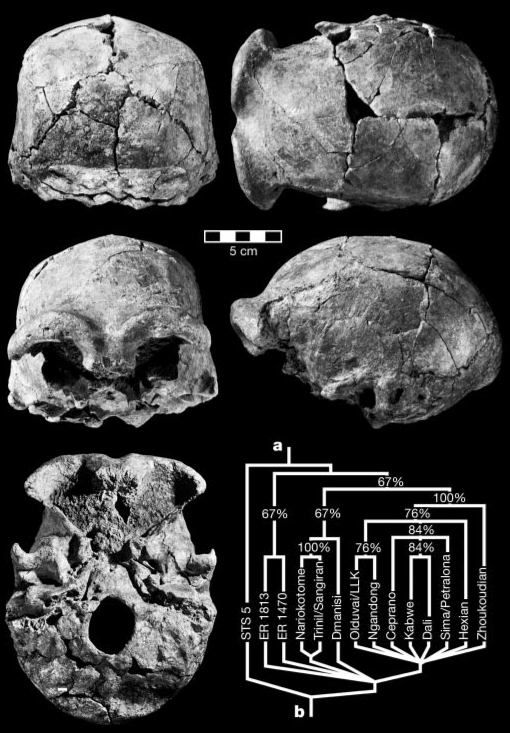 in press: p. 5/6) This is especially interesting in light of the Ardipithecus ramidus-related evidence for a great antiquity of humans’ paternal proclivity (Lovejoy 1981, Lovejoy et al. 2009). Just how and why testosterone responds to/mediates this fatherly ‘reproductive strategy’ is mysterious to me. And of course, linking this hormonal phenomenon with anything as old as Ardi is a challenge I’m certainly not up to. Still neat, though. My personal circulating T levels are consistently through the roof. So in the event that I become a father, it will be interesting to see if the subsequent, astronomical hormone drop, predicted by this study, won’t cause my entire body to collapse in on itself.